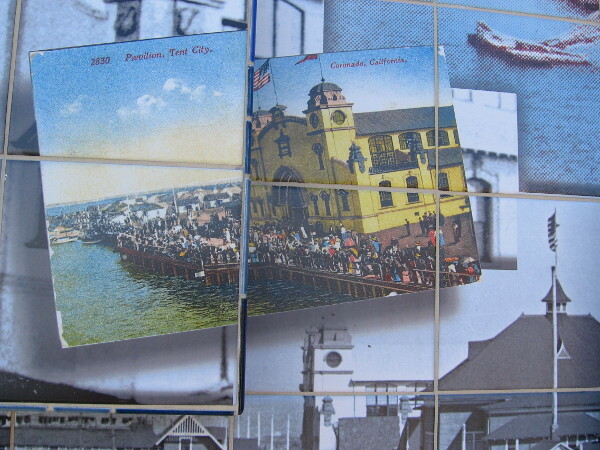 walking – Page 57 – Cool San Diego Sights! Faded sign on abandoned San Diego building. Another interesting photograph taken during a walk. The sign on the north side of this old building is extremely faded. It informs the observer of an earlier time. Years ago this location was San Diego’s In Spot! 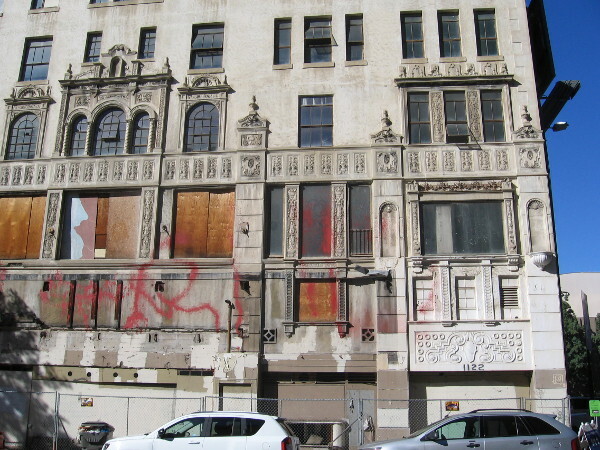 The nine story building stands right next to San Diego’s City Hall and is sadly abandoned. It has been that way since 1990. In 1927 this was the center of an historic grand opening. The California Theater, which was a movie palace, was so elegant and elaborate that it came to be called the “cathedral” of the motion picture. 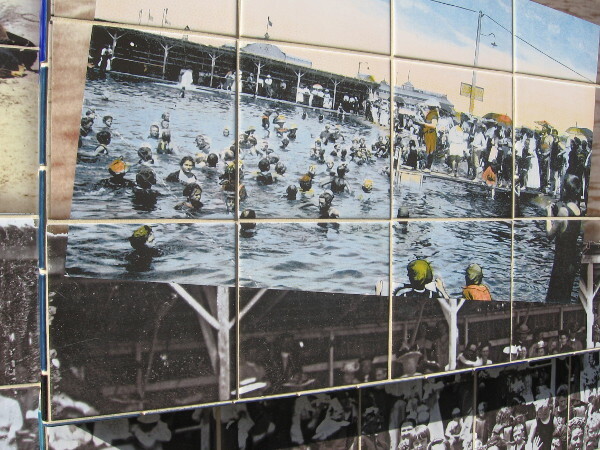 The now dilapidated old building also has a large weathered advertisement for Tijuana’s Agua Caliente race track painted in the 1960s on its west side. 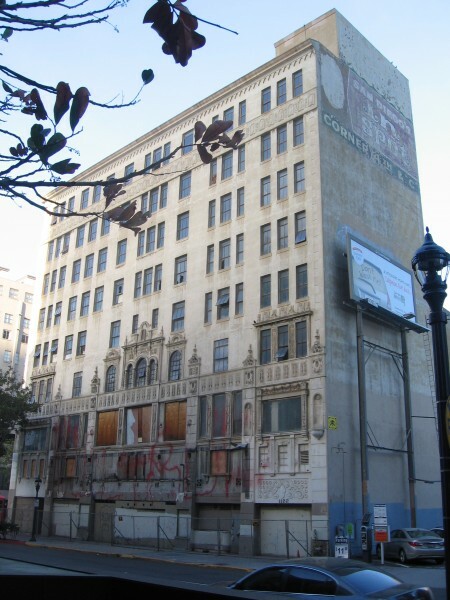 California Theatre marquee used to be seen on this old, abandoned building. The cool marquee that simply read California is long gone. Posted on October 17, 2013 February 18, 2015 Tags advertisements, buildings, downtown, history, san diego, signs, walkingLeave a comment on Faded sign on abandoned San Diego building. Ray Bradbury and crazy Horton Plaza. This escalator goes up one level, but there’s no immediate way back down! 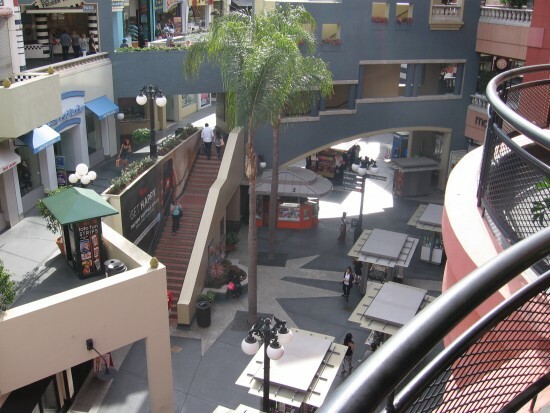 Horton Plaza, San Diego’s colorful downtown shopping mall, was inspired by a concept put forth by famous science fiction and fantasy writer Ray Bradbury. 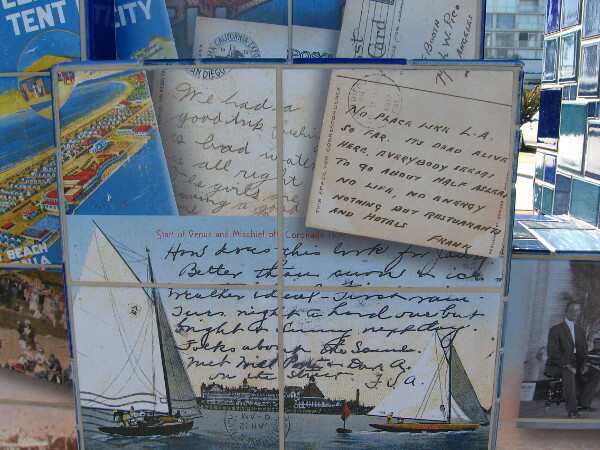 The crazy, jumbled design was based on Ray Bradbury’s essay “The Aesthetics of Lostness” which took joy in the notion of becoming safely lost on the side streets of Paris, London or New York. 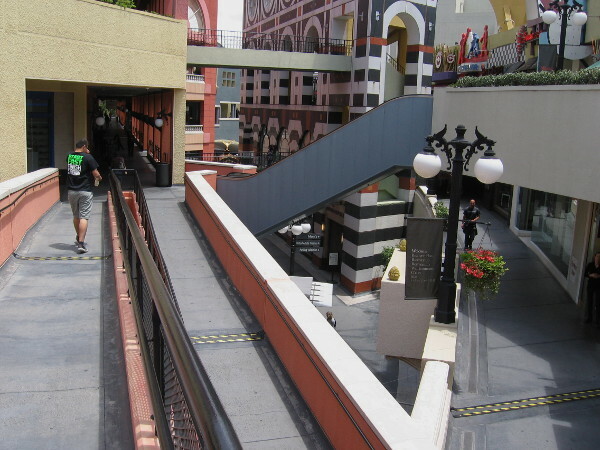 While walking about Horton Plaza, you’ll see ramps, escalators, bridges and stairs that go every which way–up, down, across–leading you to new unexpected vistas. One mysterious escalator will take you up one level, but there’s no immediate way to return from where you came. You must let your eyes rove to discover another route. It’s really a fun idea! I believe I took these pics on a Sunday morning, and few people had yet arrived. Random ramps and bridges all over the shopping mall. 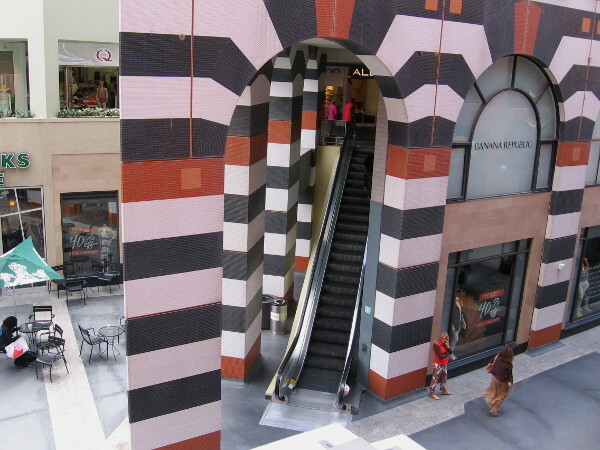 Posted on October 13, 2013 May 23, 2015 Tags architecture, bridges, downtown, fun, horton plaza, ray bradbury, san diego, walking, writers, writing3 Comments on Ray Bradbury and crazy Horton Plaza. 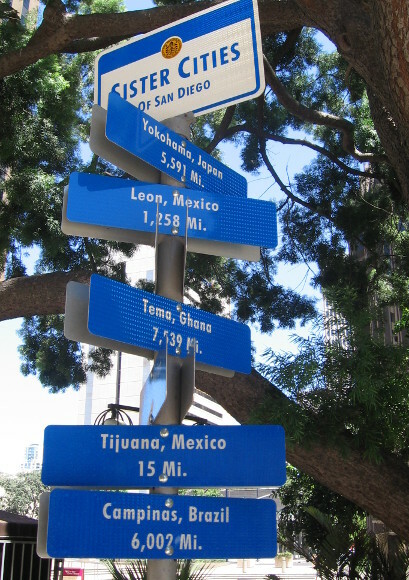 Signs point toward San Diego’s sister cities. Should you ever walk through Civic Center Plaza, you’ll probably see this unusual group of signs. 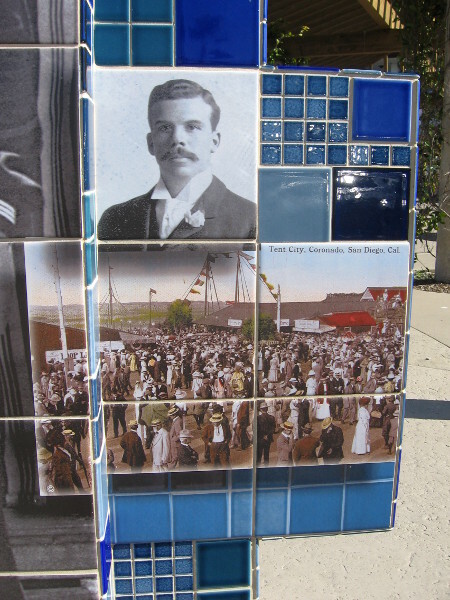 These are a few of San Diego’s sister cities. Pointing in almost every direction, the signs indicate distances in miles and kilometers. Another similar group of fun signs can be found directly across the plaza. UPDATE! I walked through Civic Center Plaza about half a year later and I noticed brand new signs! New sister city signs at the Civic Center! 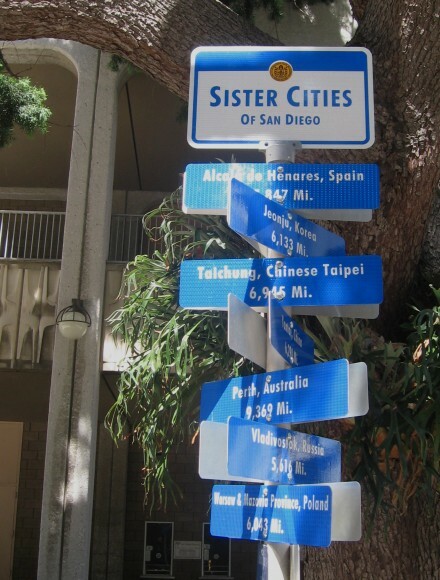 More San Diego sister cities around the world. Posted on October 11, 2013 August 22, 2014 Tags cities, civic center, cool, downtown, fun, geography, san diego, signs, unusual, walking1 Comment on Signs point toward San Diego’s sister cities. Henna tattoo body art at Seaport Village. 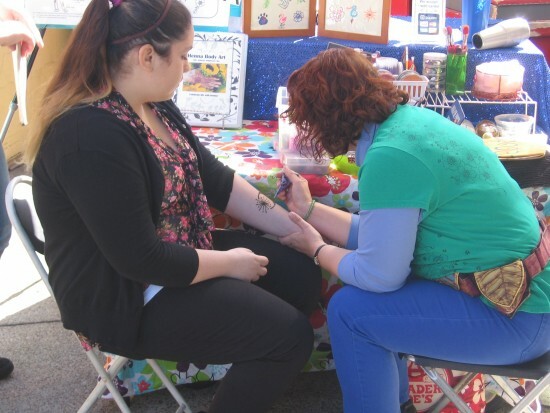 Just steps from the Seaport Village carousel and Ben and Jerry’s you’ll find a henna tattoo artist. They must’ve been out to lunch when I walked by. But it was interesting to check out the display of possible designs and the table full of colorful materials. Henna tattoo applied to arm of Seaport Village visitor. I learned the henna tattoo artist is named Natasha! Great smile! 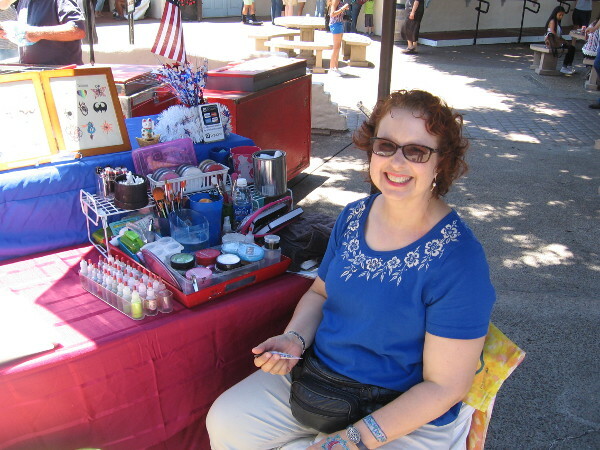 Posted on October 8, 2013 July 3, 2015 Tags art, artists, body art, color, creativity, henna, san diego, seaport village, tattoos, walkingLeave a comment on Henna tattoo body art at Seaport Village. Halloween banners on Gaslamp lamp posts. Yesterday morning, as I walked through the Gaslamp, I spied some spooky new banners hanging from the lamp posts. Looks like Halloween is coming! Here are similar Gaslamp banners spotted the following year! 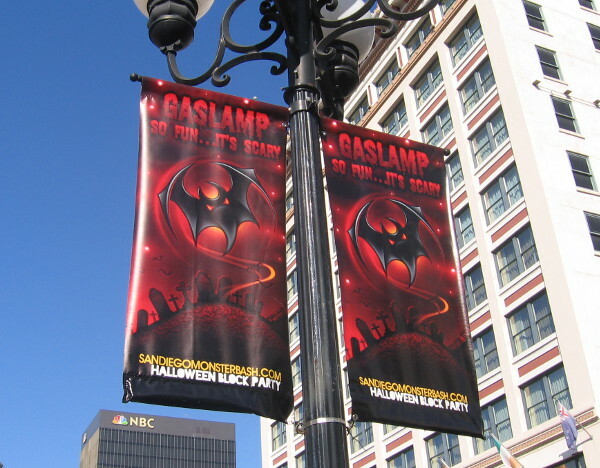 Spooky Gaslamp Halloween banners spotted in October of 2014. Posted on October 6, 2013 October 13, 2014 Tags advertisements, banners, cool, downtown, gaslamp, halloween, san diego, spooky, trick or treat, walking2 Comments on Halloween banners on Gaslamp lamp posts. 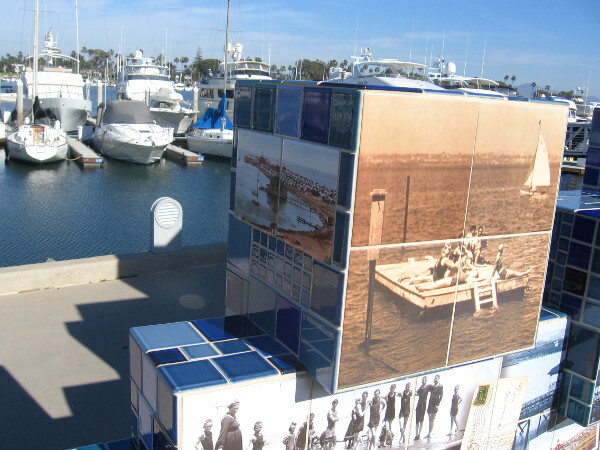 Public art shows Coronado’s Tent City. 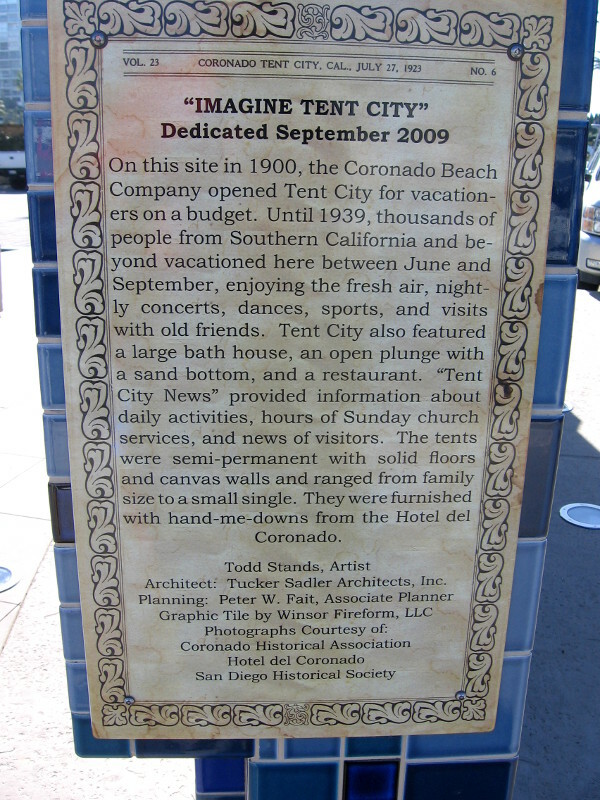 “Imagine Tent City” is a cool bit of public art I discovered while walking along Coronado’s Glorietta Bay. 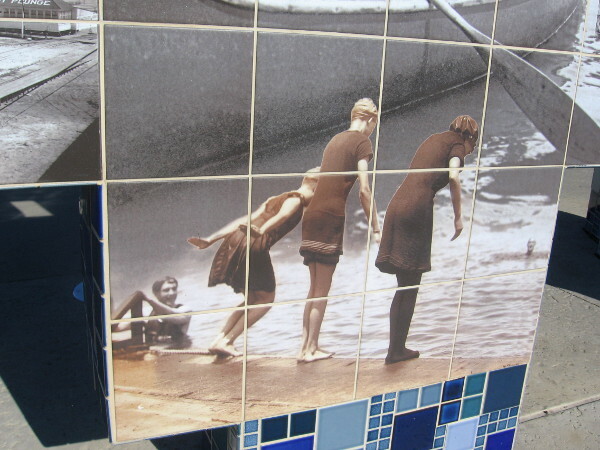 The artwork is composed of photographic images arranged like a mosaic, embedded in ceramic tiles. 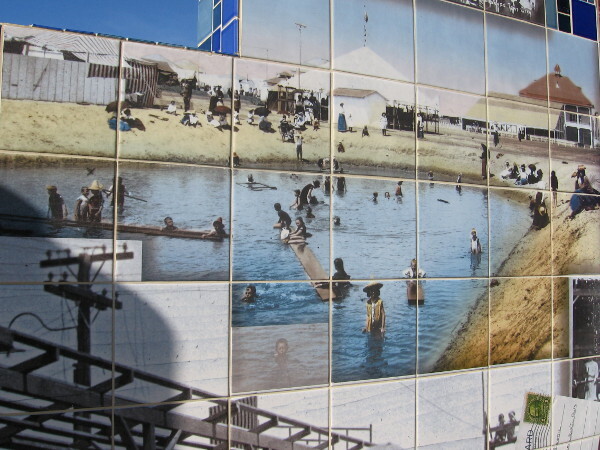 It depicts the historic Tent City, which was a popular tourist destination for many years just south of the Hotel Del Coronado. 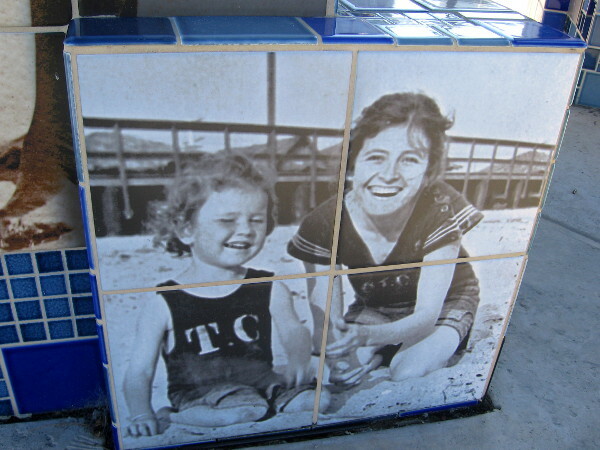 Established in 1900 by entrepreneur John D. Spreckels, the beach tents could be reached by Coronado Belt Line trains operated by the Coronado Railroad Company, running from San Diego around the bay and up the narrow Silver Strand. (Coronado is technically a peninsula, not an island.) The tracks have since been replaced by a very popular bike and pedestrian pathway. Here’s a pic taken from the south side, walking toward the Hotel Del Coronado’s old Boathouse. The building you see is part of the Coronado Shores condo complex. Imagine Tent City was created by artist Todd Stands. 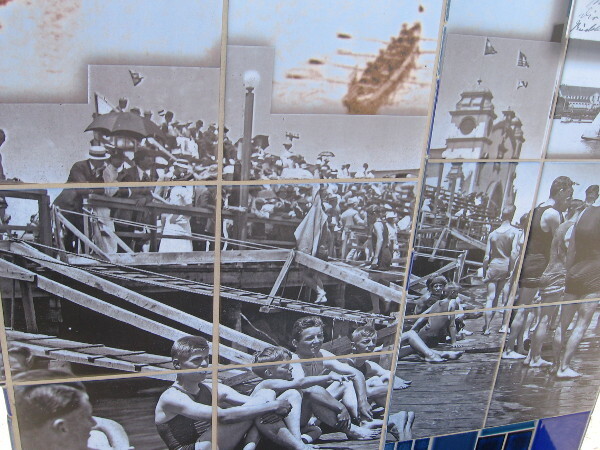 Water skiing in the past, and present-day boats in Glorietta Bay Marina. 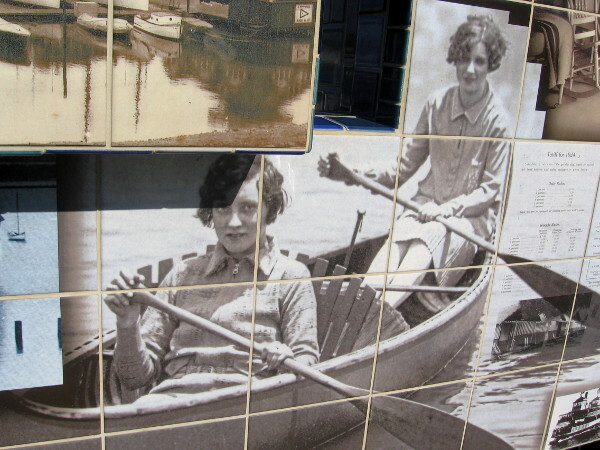 Two ladies row a pleasure boat. Kids prepare to jump into the water! Sailor and sweetheart beside a beach tent. Old photographic portrait and postcard of Tent City. 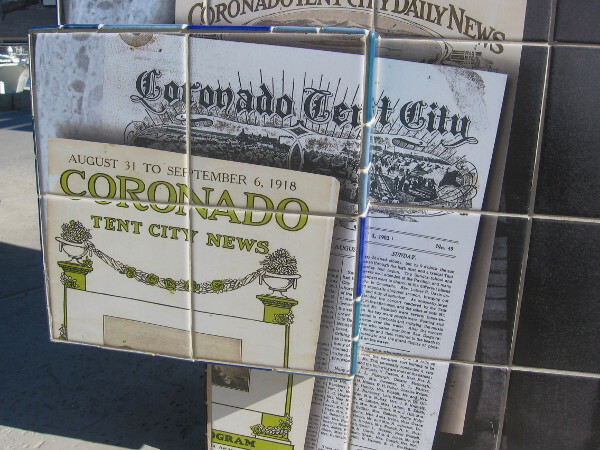 Coronado Tent City News was a popular newspaper. 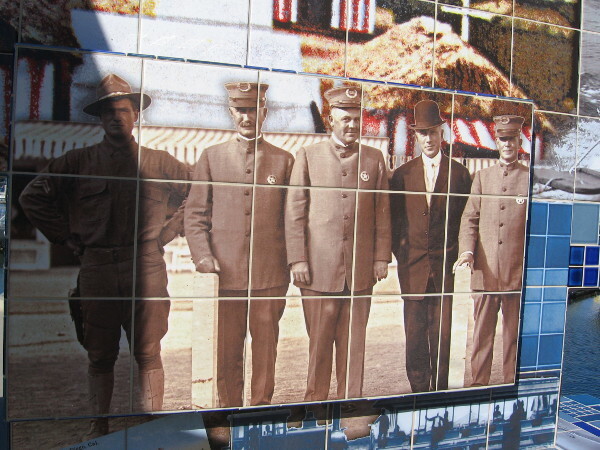 One image in this amazing mosaic of Tent City history. 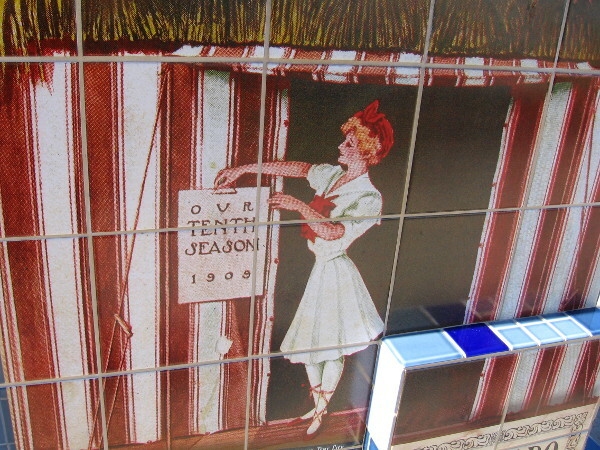 A postcard shows a crowd around Pavilion at Tent City. Small child and mom have fun in the sand. 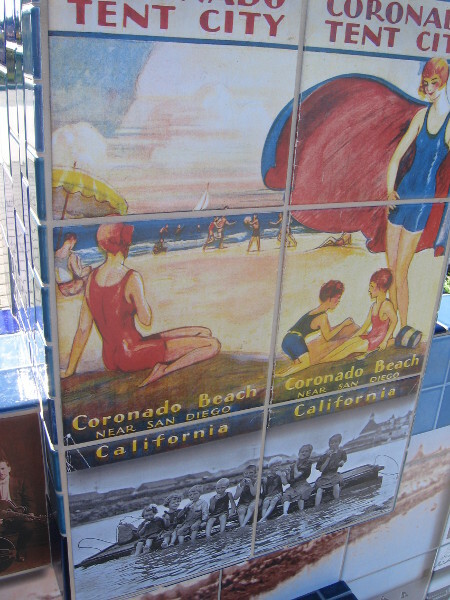 More nostalgic postcards from historic vacation spot. Illustration of people playing and relaxing on Coronado Beach. Just hanging out at Tent City and enjoying life. 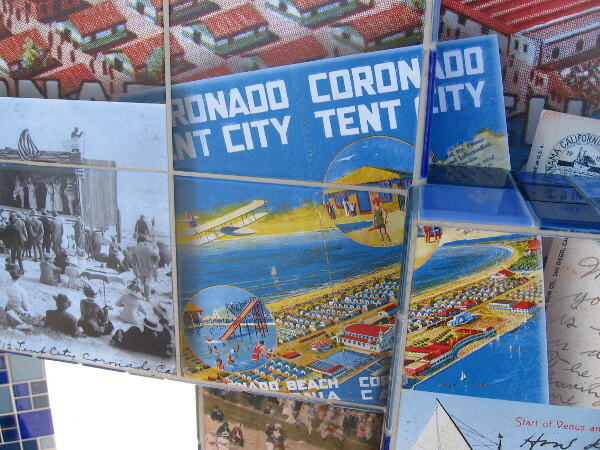 Postcard image shows layout of Coronado’s Tent City. 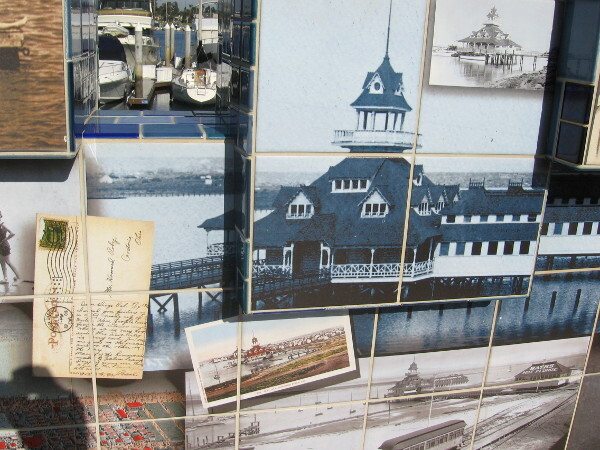 Photo of Victorian-style Boathouse, which resembles nearby Hotel del Coronado. 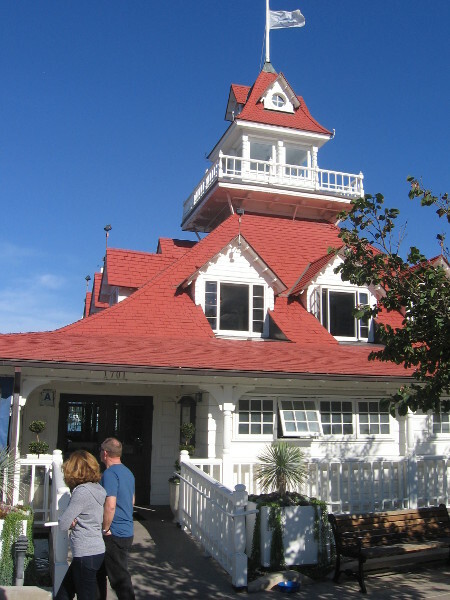 Historic 1887 boathouse on bay side of island near Hotel del Coronado. Another small part of Imagine Tent City public artwork. Swimmers enjoy the huge sandy-bottomed Plunge. 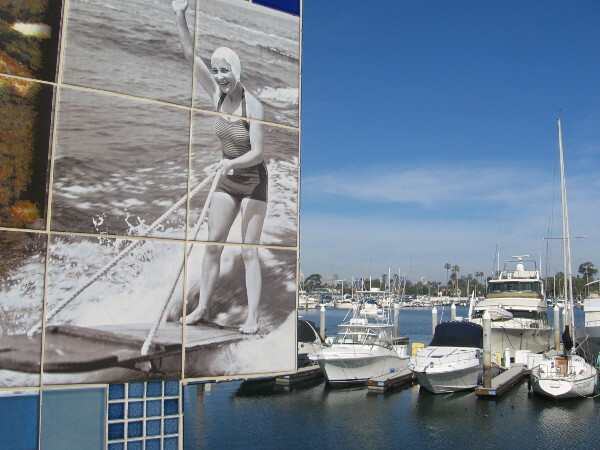 Lots of vacationers out in calm water–possibly San Diego Bay. 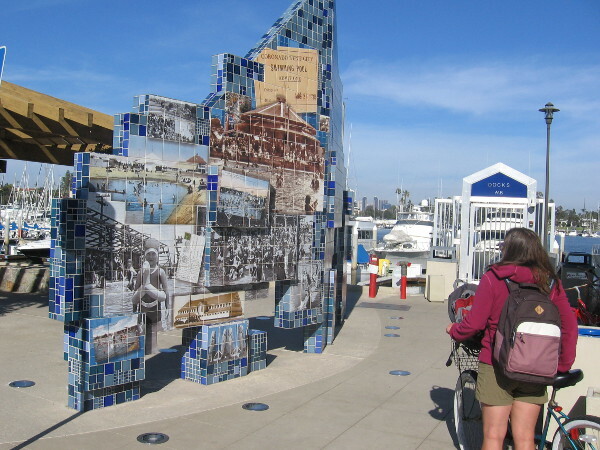 Bicyclist pauses to admire wonderful public art in Coronado. 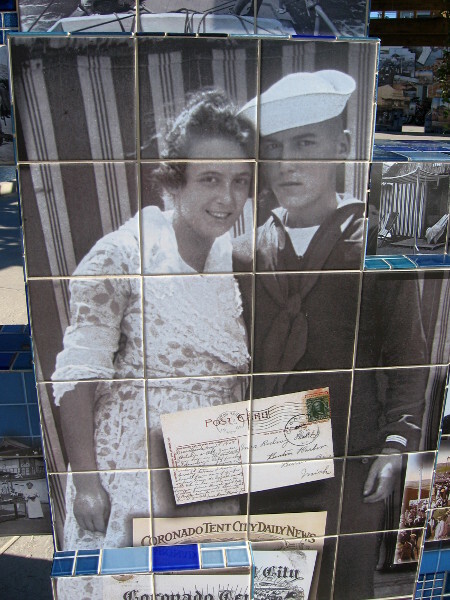 Posted on October 4, 2013 January 5, 2015 Tags art, coronado, glorietta bay, history, public art, san diego, silver strand, tent city, trains, walkingLeave a comment on Public art shows Coronado’s Tent City. Photos of San Diego Entrepreneur Day. I was walking downtown through East Village yesterday when I happened to stumble upon San Diego Entrepreneur Day. According to their website, the annual event is a celebration meant to assist creative people, including students. Entrepreneur Day helps those who’d like to take their unique business concepts to reality. The event presents many potential collaboration and partnership opportunities. Large and small businesses had set up displays along the street, and people were checking them out. Lots of cool swag was being given away. Several food trucks were part of the action, but I already had lunch waiting at home. The second pic shows some energetic dancers having a great time performing on a stage. I’m inspired! Posted on September 29, 2013 Tags business, creativity, downtown, east village, entrepreneurs, events, marketing, san diego, small business, walkingLeave a comment on Photos of San Diego Entrepreneur Day.